This is basically a ‘how to’ book, aimed primarily at the first time cat or kitten owner. Written in simple language, and in question and answer form, it is designed to help the new cat owner who wants to do her best for her new pet. It answers simple questions such as “How should I prepare for my new cat?”, “What should I feed my cat?”, and “What about cat litter and litter trays?”. However, the book is not just about the absolute basics. 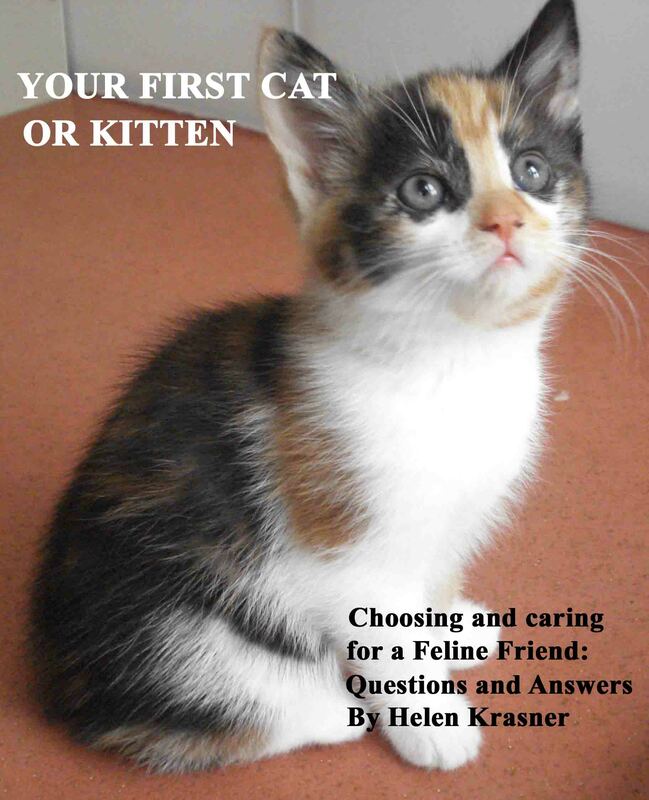 Later sections go into important topics such as “Should I let my cat go outside?”, “When should I take my cat to the vet?”, and “How should I introduce my cat to other animals?” So hopefully it will not just be for beginners to cat care, but also be of use to people other than new cat owners, perhaps those who already have a cat or cats, but who would like to know more about how to care for the feline member(s) of their family. It would also make an excellent gift for any ‘cat person’. I have had cats for most of my life, and that is why I felt qualified to write about them. I grew up on a farm where there were always cats around, at times too many to count. As I grew older I began to have my own cats – first moggies, then some pedigree cats, and later on a mixture of different types in a multi-cat household. I have also been involved for many years in what you might call cat related activities; I am a volunteer at an animal rescue centre, and I go to cat shows regularly. So I am very involved in the whole world of cats, and I have gradually come to realise that a simply book for beginning cat owners would fill a definite need. This is my first book on cats, although there may be more in the future. You can find it here.